The 14 bible studies from the Gospel of John have been designed so that everyone can participate. Fundamental to the process is that the members of each group feel free to share their interpretations, their experiences and their contexts with others. 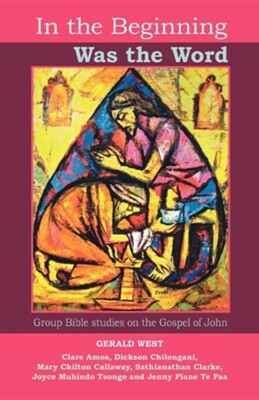 Within the richness of the Gospel these studies follow the 'I am' sayings of Jesus, and John's theological use of them, and the 'Signs' in the Gospel of John. I'm the author/artist and I want to review In the Beginning Was the Word: Participatory Bible Studies from the Gospel of John.